…well, my hope is that THIS RECIPE WILL CHANGE THAT! 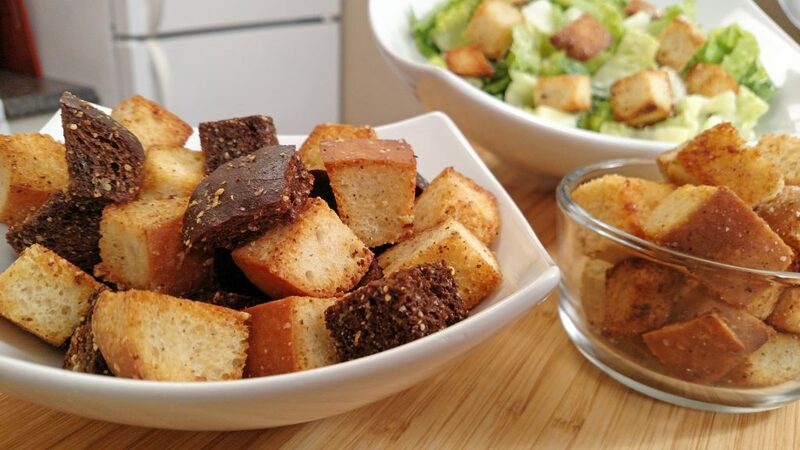 After you try this recipe, I can guarantee that you will have a new appreciation for croutons. And after you discover how quick and easy they are to make, I have a hunch you’ll be making them for all kinds of things, like salads and soups…you can even snack on them…they’re that good. So what kind to make??? Well, first time out, I recommend getting a good Sourdough bread. Scratch that…a good AND CHEAP Sourdough bread. Yep…this is your excuse to go check out that rack in the back of the grocery store that you’ve driven your cart right by or, perhaps, have been too embarrassed to approach. However, I am a self-professed deal seeker and so now I walk up to that shelf proudly, knowing that there’s a chance I am going to save a chunk of change. And bread is one item you see all the time on that rack. Well, good news for you, we need day old bread for this recipe! It’s not that you can’t use fresh bread, because you can…but if you have the chance to save a couple of bucks, why not, right!?! After the first time making this recipe with Sourdough, start experimenting with different types of bread (like pumpernickel or rye)…or dare I say it, what ever is on sale on that sale rack. After you’ve got your bread picked out, the sky is the limit. As you may know, I am 1/2 French and 1/2 Italian, so sometimes I like to make them with butter (à la, the French way) and sometimes I like to make them with olive oil (al, the Italian way). Both are fantastic. The French way, using butter, will definitely have a unique richness to them and that is the way I had them when I first fell in love with Croutons at a place called Gallagher’s Steakhouse in Houston, Texas. I don’t remember exactly why we had gone out to eat, but it must have been a special occasion. Scratch that, a VERY special occasion! Growing up, a special occasion was the Ponderosa Steakhouse. 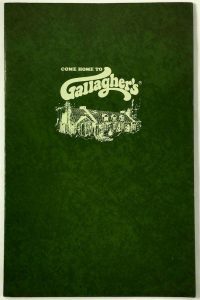 A VERY special occasion was a restaurant like Gallagher’s Steakhouse, which for the record, we only went to one time. Yet, still to this day, I remember those croutons like it was just yesterday. Sitting in the dimly lit restaurant with the dark mahogany wood, I even remember asking for an extra bowl of them. 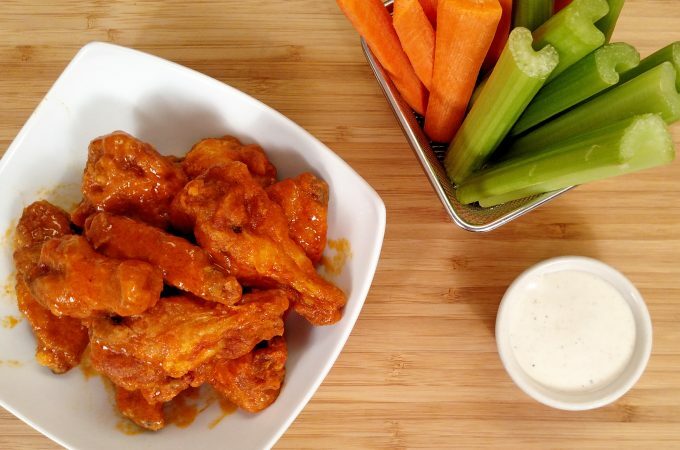 I couldn’t get enough…they were perfectly crisp and buttery…I didn’t need anything else that night. And if I am going to remember toasted bread more than I remember a good Filet Mignon, you know that toasted bread was fantastic! So you’ve got your bread, you’ve decided whether you’re going the French or Italian way, the last think you have to think about is adding the spices and other ingredients. Salt and garlic powder is a must. Pepper is optional. Aside from that, you could add spices like thyme, sage or onion powder…those would go great with either variety. Rosemary or cumin would be fantastic with the olive oil variety. 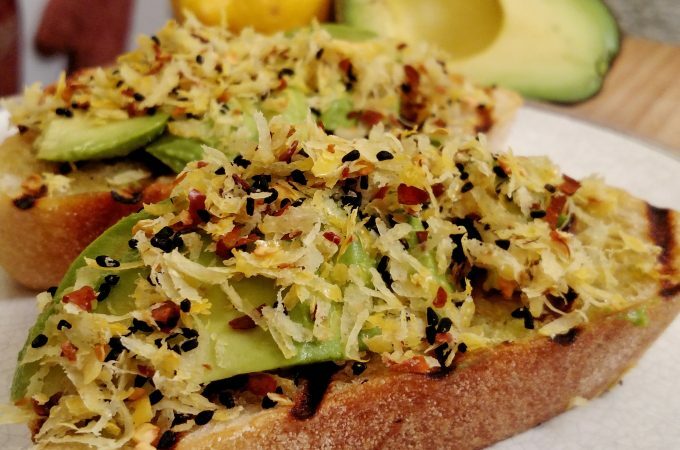 Oh, and Parmesan cheese…yes please…whether butter or olive oil. Dill or oregano would also work great. Just think about the type of salad or soup you might be making and adjust the seasoning to your liking. And, for most spices, you can make the croutons with the fresh or the dried spice. 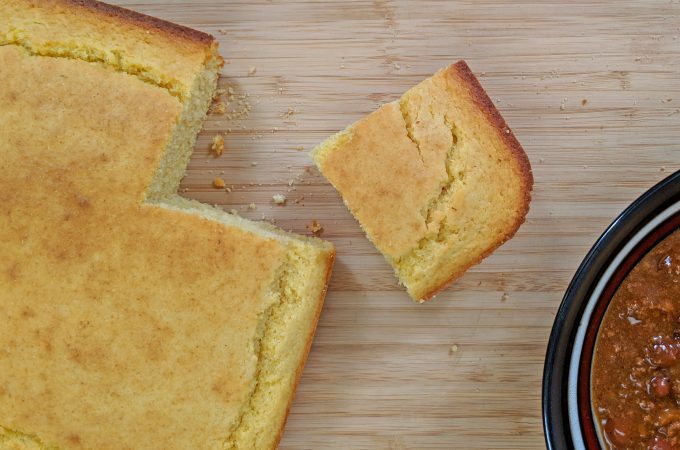 Keep in mind, these additional items are completely optional…the basic garlic crouton will be perfectly satisfying! And there you have it, homemade croutons and a new appreciation for toasted bread cubes. 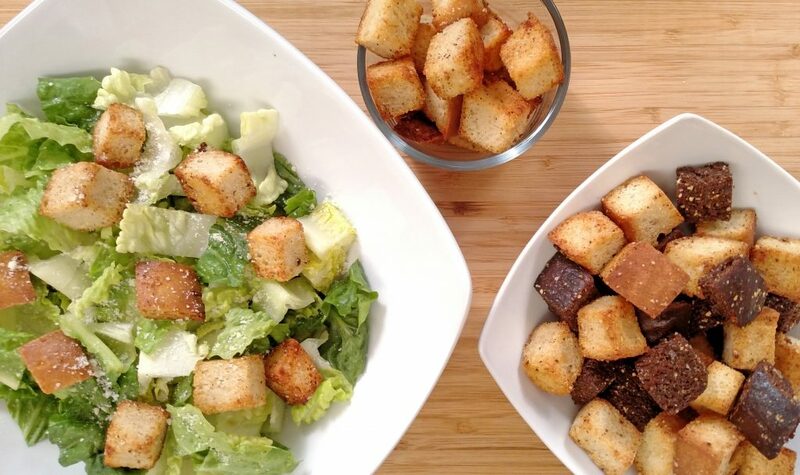 Can’t wait to hear your stories and when you make these homemade croutons, be sure to tag a picture of them on Instagram (@tinykitchenTV). I love seeing what y’all create! Until next week, may this week be one of your best! Whether you choose to make these with butter or olive oil, this recipe is a simple way to make a great crouton! Place cubed Bread into the Mixing Bowl. Add Garlic Powder, Salt and Pepper. Add olive oil or butter, depending on the style you want to make. Add any optional ingredients, like spices or parmesan cheese. Mix Bread until thoroughly coated with all the ingredients. Enjoy on soups, salads or even as a snack.